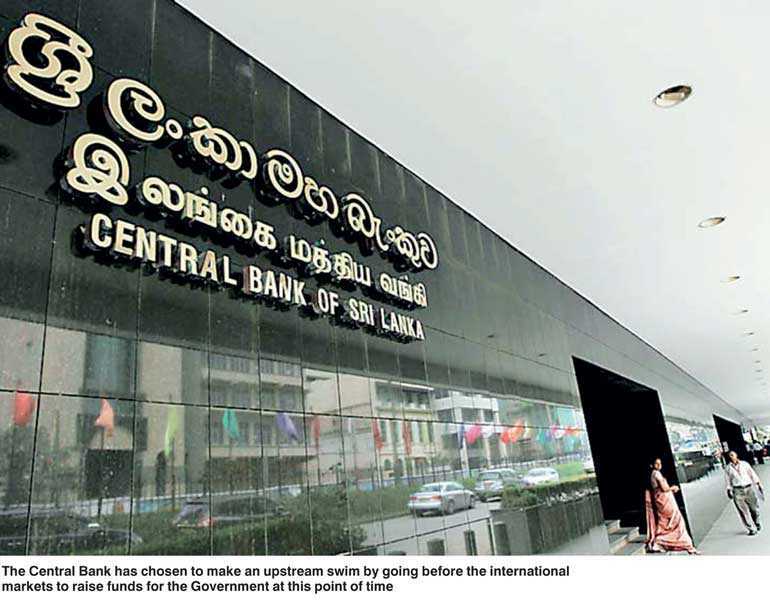 The Central Bank has brought $ 2.5 billion to the country by issuing Sri Lanka Government Sovereign but ‘Senior Unsecured Notes’ in the international markets (available at: https://www.cbsl.gov.lk/en/news/the-democratic-socialist-republic-of-sri-lanka-us-dollars-2.5-billion-international-sovereign-bond-offering ). The risks faced by the country due to the ballooning of the commercial borrowings were brought to the notice of the top policy makers of the country by this writer in an article published in 2014 in this series (available at: http://www.ft.lk/columns/sri-lankas-external-debt-sustainability-complacency-based-on-incomplete-analysis-may-be-the-worst-en/4-297680 ). However, instead of taking cue from the message, the Central Bank chose to shoot the messenger resulting in a series of subsequent exchange of views between the Bank and this writer.